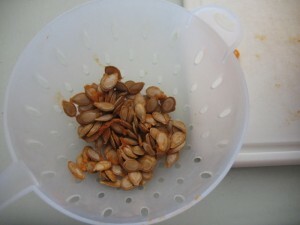 Saving squash seeds is pretty simple. The pictures I’m using are from a winter squash called Long Island Cheese. For summer squash, you want to let the squash get big and over-ripe like we did with the cucumber so the seeds can mature before trying to save the seeds. The squash will be long past the tender, eatable stage. Winter squash are eaten at the big mature stage, so their seeds are already ready to save. 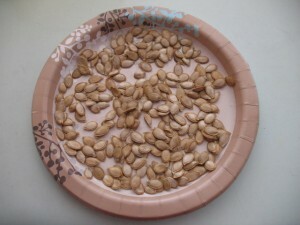 Seeds will continue to draw reserves from the squash after it is fully mature, so it’s okay and even good to wait a month or so (into late fall or even winter time) to extract your seeds from the harvested squash. Saving seeds starts in the spring. You want to start by growing a non-hybrid plant. Now you want to keep your squash seeds pure. There are a couple of methods to keep your squash seeds from cross pollinating each other. The first and most tedious way is to hand pollinate your plants. You’ll need to be able to recognize the male and female flowers as well as know when they will open. I didn’t hand pollinate or take pictures of it, but someone else did and there is a fantastic pictorial guide on hand-pollinating squash here. The second way to keep your squash from cross pollinating each other is to only plant one variety of squash for each of the four primary squash genus. The genus are cucurbita maxima, cucurbita mixta, cucurbita moschata, and cucurbita pepo. Each genus of squash will cross pollinate within its own genus, but they won’t cross with another genus. So a squash that is c. maxima won’t cross with a squash that is c. pepo. This gives you four different varieties of squash that can safely be planted in the same garden without having to hand pollinate the plants. If you’re not sure what genus your squash seed is, check this list at Wikipedia. Some good seed companies (like Baker Creek Seeds) will list the genus in the seed description. Once you’ve decided what squash to plant, let them grow and produce mature squash. 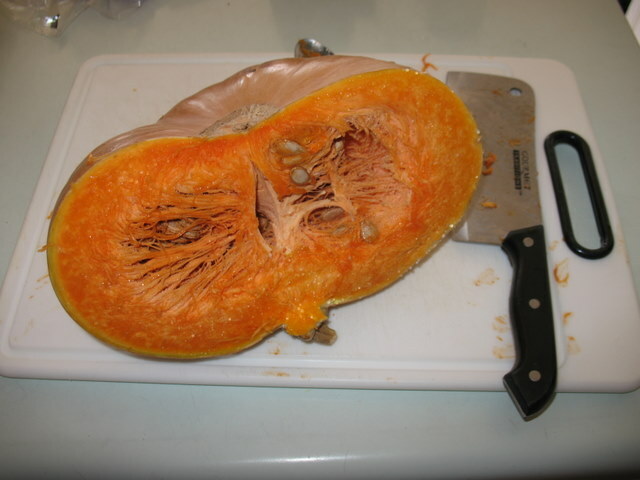 When your squash is mature, carefully cut it open to expose the seeds. Remove the seeds with your hands or a scoop of some kind so you don’t damage them and separate them from the stringy stuff as best you can. Put the seeds in a colander and wash some of the slime off them. Now lay them out to dry. I put mine on a paper plate and set them on the counter. We live in a dry climate. If you live in a humid climate, this may not work for you. Maybe put them in a room where you’re running your air conditioner and it’s not so humid? I’m open to suggestions from any of y’all in the humid states to get your seeds dry. Let them dry until they snap when they are bent. It took about a week here. Now you can store them in a ziplock or paper sack or whatever and plant them next spring. Because you didn’t let them cross pollinate, you’ll get the same kind of squash from the seeds you plant as the squash you harvested the seeds from. 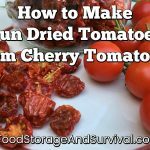 The seeds should be good up to 5 years stored in a cool dry place. Once you get past the pollinating stage, squash are one of the easier plants to save seed from. Happy planting! Thanks lots. That was so interesting. So much to know, so much to learn.